Here at AutoNetTV, we have national viewers, like your neighbors in Brooklyn Park, who write to us with questions or feedback. One common question we're asked is: "What is a differential and what does it do?" You may have been told by your Affordable Transmissions service advisor that your differential needs serviced, or it's seen it as an option up on the service menu. Differential service at Affordable Transmissions covers a lot of things, so let's first talk about what a differential does. As you drive through a turn, your outside wheels and inside wheels turn at different speeds. Kind of like the cars going around a race track - the ones driving in the outside lanes have a greater distance to travel than the cars in the inside lanes. The differential is what allows the outside and inside drive wheels to rotate at slightly different speeds so that the tires don't hop or skip while taking corners, or lose traction in dirt or snow on Brooklyn Park area roads. Differentials have gears in them that transfer the power from the drive train to your wheels - which is why they're often referred to as gear boxes. The gears need to be very strong to do this work, and they need to be properly protected so that they'll last. All vehicles in Brooklyn Park have some form of differential. If you have a front-wheel drive car, your differential is sometimes called a transaxle and is located in the front. If you have rear-wheel drive, the differential is in the back of the car. Brooklyn Park auto owners with a four-wheel drive vehicle have a differential in the front and the back - and in the middle as well. The center differential adjusts for differences in speed between the front and rear wheels. Differential fluid lubricates and cools the gears. Over time, the fluid can get dirty from bits of the gears grinding off. The additives that keep the fluid clean and protect the differential break down over time. So your vehicle manufacturer has scheduled intervals for you to have your differential fluid changed. Talk to your friendly and knowledgeable Affordable Transmissions service advisor if you are not sure about your recommended schedule. The drive train in your vehicle includes all the components that transfer power from the transmission to the wheels. Those components differ depending on what type of vehicle you drive, namely, front-wheel drive, rear-wheel drive, all-wheel drive or four-wheel drive. The preventive maintenance your driveshaft needs will also differ by what type of vehicle you drive. Let's start with front-wheel drive. In this vehicle, the transmission and the differential are combined in one component, known as the transaxle. The transaxle is connected to two half-shafts (axles), which are then connected to the wheels with a constant velocity (or CV) joint, which is protected by an airtight rubber boot. Affordable Transmissions service for this type of driveline includes servicing the transaxle and inspecting the CV boot. If the boot is damaged, the CV joint will need to be inspected, and the boot will need to be replaced. If you hear a clicking noise in your wheel wells when you turn, you may have a damaged CV joint. A damaged CV joint should be replaced. Affordable Transmissions service on the drive train on a rear-wheel drive vehicle starts with servicing the differential. It will need its fluid drained and replaced regularly. The seals on the axles should also be inspected for wear or leaks. Leaking or damaged seals may mean the axle needs to be serviced as well. Also, U-joints can wear out. If you hear clunking or feel a jolt when you shift into drive or into reverse, it could indicate a driveline problem. All-wheel drive vehicles provide power from the transmission to all of the wheels, instead of just to the front or rear. The advantage is that the vehicle can adapt to different driving conditions and transfer more power to the front or back wheels as needed. The disadvantages are that the driveline is more complicated, and the vehicle weighs slightly more. Servicing an all-wheel drive at Affordable Transmissions involves servicing ALL of the differentials and inspecting the joints and seals for wear, leaks or damage. Four-wheel drive vehicles are rear-wheel drive vehicles that have an option to transfer power to the front wheels. In other words, they can be driven as either rear-wheel or four-wheel drive vehicles. These vehicles are specifically designed for the harsh driving conditions Brooklyn Park drivers encounter off-road. The driveline in a four-wheel drive vehicle is similar to that of an all-wheel drive vehicle. The center differential, however, is a transfer case. Maintenance requires servicing both of the differentials and the transfer case, as well as an inspection of the joints and seals. Brooklyn Park auto owners would be wise to check with their owner's manual for recommendations on how often to service their vehicle drive train. It's also good auto advice to check with your friendly and knowledgeable Affordable Transmissions service advisor as well. You may live in an area in MN where weather or driving conditions require more frequent servicing of the drive train. Good car care at Affordable Transmissions in Brooklyn Park always includes taking care of your driveline. Without it, your vehicle becomes a very large paperweight. That's not really a lot of components, but they handle the full force of the engine. Without the driveline you're not moving. So Brooklyn Park residents need to take good care of it. The driveline components differ depending on whether your vehicle has front wheel drive, rear wheel drive, all wheel drive or four wheel drive. For purposes of our discussion, we're going to have to oversimplify a bit. If you are ready to have your drive train looked at, give us a call at (763) 533-1169. Let's start with front wheel drive. The point where the transmission stops and the driveline begins is a little blurred with front wheel drive because the transaxle houses both the transmission function and the differential function. The half shafts that send power to each front wheel come out of the transaxle. The shaft is connected to the wheel by a constant velocity, or CV, joint. The CV joint is protected from dirt and water by an airtight, flexible rubber boot. So, Affordable Transmissions driveline service would include properly servicing the transaxle and inspecting the cv boot to see if it's torn or loose. If it is, it needs to be replaced and the CV joint inspected for damage. Repairs may be in order. Besides visual damage to the airtight CV boot, you might hear a clicking noise when turning. Recommended maintenance for the transaxle and CV joints will be spelled out in your owner's manual, or check with your friendly and knowledgeable Affordable Transmissions service advisor. On to rear wheel drive. 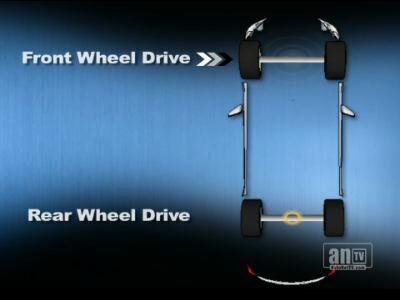 The driveline for a rear wheel drive vehicle starts with the driveshaft – that long tube that connects the transmission with the differential on the rear axle. Some vehicles in Brooklyn Park have a two piece drive shaft. The shafts are connected to the transmission and the differential with big universal joints. Most Brooklyn Park residents have probably heard the term 'u-joints.' These joints can wear out, just like the CV joints in front wheel drive vehicles. 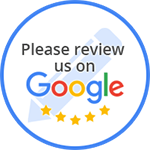 You may hear some clunking or feel a jolt when shifting into drive or reverse – if you do, get your driveline inspected at Affordable Transmissions in Brooklyn Park. The differential on the rear axle sends power out to each rear wheel through half shafts in the axle. The differential fluid needs to be drained periodically and replaced with clean fluid. When the seal on the end of the axle is damaged or leaks, the axle will need to be serviced. The routine maintenance item here is differential service. Be sure to check your owner's manual or Brooklyn Park service advisor for intervals. Now let's go on to all wheel drive. Remember that the difference between all wheel drive and four wheel drive is that an all wheel drive vehicle is essentially providing power to all of the wheels all of the time. The vehicle may be able to shift more of the power to the front or to the back depending on where you need traction. All wheel drive vehicles are designed to work well on dry pavement. Even some high-end sports cars from makers like Lamborghini and Porsche have all wheel drive. Some all wheel drive vehicles are designed to work well off-road in Brooklyn Park, but all hard-core rock crawlers are four wheel drive. These guys thrive in mud, sand, rocks and hills – but they don't work well on dry pavement when they're in four wheel drive. So they have the option to shift to rear wheel drive only on dry pavement. Most all-wheel drive vehicles are very similar to front wheel drive when it comes to the front end. They also have a center differential that transfers power to the rear differential. Connecting it all is a shaft from the transaxle to the center differential and another from the center differential to the rear differential. So all of the normal front wheel drive service is recommended as well as service to the center and rear differentials. Four wheel drive can be thought of as a rear wheel drive vehicle that can also send power to the front axle. There's a transfer case in the middle of the vehicle that can be shifted to send power through a drive shaft to a differential on the front axle. So Brooklyn Park residents need differential service for the front and rear differentials and for the transfer case as well. The bottom line for Brooklyn Park residents is that the maintenance schedules are in your owner's manual. Your Brooklyn Park service advisor can answer any questions you've got. If this is the first time you've heard some of this stuff – it's time to ask someone at Affordable Transmissions if any of it needs to be done now.